Superb picture of the bend in Wood End Green Road near Barra Hall park. Elsewhere in our albums we have a picture of Hayes Town Chapel holding a mission on the green there in the late 1940s or 1950s, with the pub still in the background. 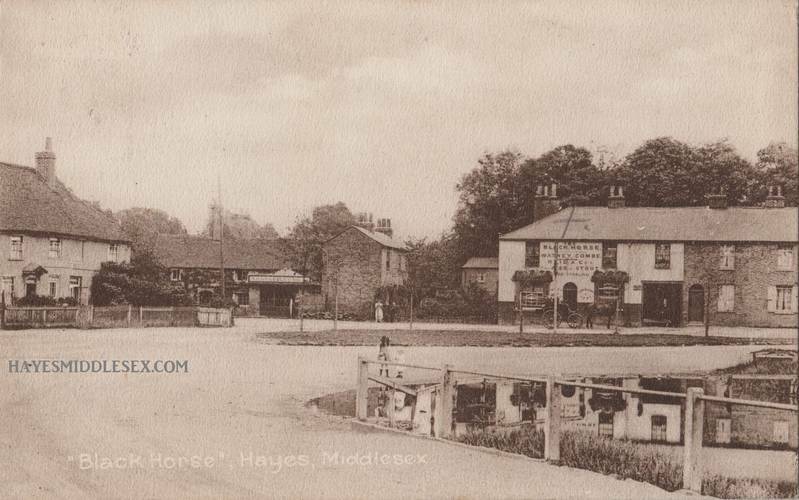 Was this the pub that used to be near the entrance to Hayes Park, opposite Grange Road and the cricket club ? Yes, I think that's the bend where Grange Road becomes Wood End Green Road. Do you remember that pub then? Before my time for using pubs but I remember someone telling me about it, probably Stan Clarke or John Hammond.